Company Profile｜About us｜Advanced Media, Inc.
· Solution Support Business plans, designs and develops speech recognition solutions incorporating AmiVoice. · Product Business offers application licenses incorporating AmiVoice. · Service Business offers services incorporating AmiVoice to enterprise users and general consumers. 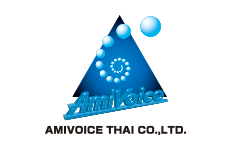 > AMIVOICE THAI CO., LTD.
Leveraging the expertise in call center voice recognition solutions we’ve accumulated in Japan, AMIVOICE THAI helps clients improve customer satisfaction by improving monitoring efficiency and enhancing customer service. The company provides local call centers in Thailand with real-time voice recognition functionality based on AmiVoice voice recognition technologies. The same technologies allow full-text conversion of recorded conversations. 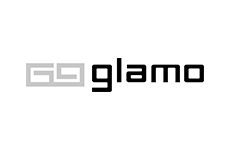 Through its iRemocon business based on both hardware and software development, Glamo primarily develops and markets control equipment for networked devices. It also provides expertise to client companies in the form of licensing agreements and systems integration. Through its sophisticated products and services aimed at a broad range of corporate and general users, Glamo is able to transcend the divide between hardware and software. > Shorthand center Tsukuba Co., Ltd.
「Shorthand Center Tsukuba provides meeting minutes preparation and support services for local government bodies. Moving forward, the company intends to merge AmiVoice voice recognition technologies with the transcription technologies it has developed thus far to create environments that enable anyone to prepare such records. These environments can also be used to achieve real-time records preparation. · From JR Ikebukuro Station East Exit: 15 mins on foot. · From Tokyo Metro Yurakucho Line Higashi-Ikebukuro Station: 6 mins on foot from Exit 6 and 7.